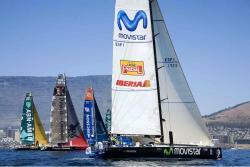 In the 2005-06 Volvo Ocean Race race, the Spanish entry movistar, having been beset by a catalogue of breakdowns, eventually sank. 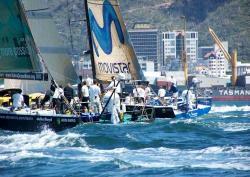 Now skipper Bouwe Bekking is back for more and, this time round, his team will have two boats. Bekking has reflected on the travails of the movistar campaign in 2005-06 and consigned them to history. Bekking’s Spanish entry experienced a spate of well-documented breakages and unscheduled stoppages – the first within 48 hours of the start in the home port of Galicia. 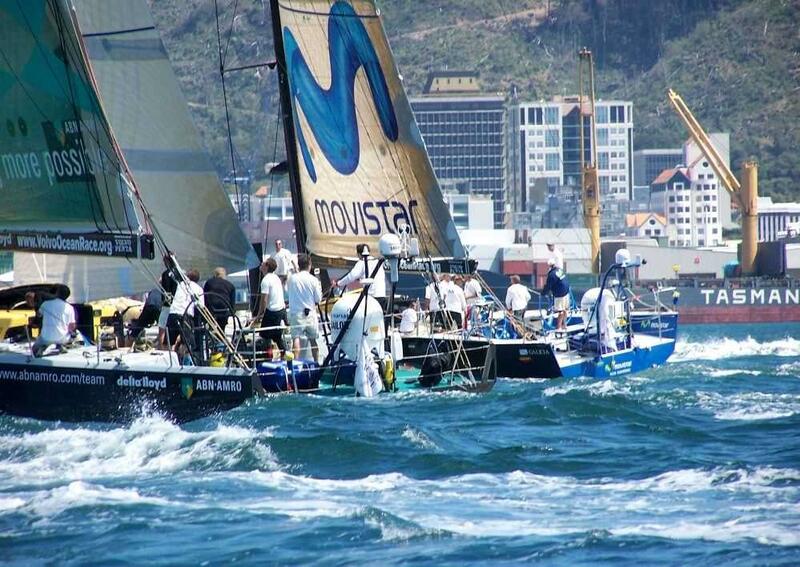 Subsequent failures of the hydraulic ram mechanisms and keel box meant that movistar spent as much time in the repair shop as it did in the heat of battle in the world’s oceans. Despite the catalogue of setbacks, and the time spent kicking up their heels while movistar sat in dry dock or was loaded and unloaded from a freight vessel, the crew had been buoyed by a stunning stage win from Melbourne to Wellington – by just nine seconds – after an epic battle with ABN AMRO One. Further premium points were banked for second place from Rio to Baltimore and, with a win, two seconds and a third place to show for their in-port efforts, they were in touch with the battle for a podium place overall as the fleet headed for Portsmouth. Forced to take a two-hour penalty for yet more restoration work in New York, the Dutchman and his crew headed out into a storm-tossed Atlantic for leg seven. Some 1,500 miles into the crossing, water ingress, caused by keel-related structural failure, became terminal as the boat began sinking. The call was made to abandon ship. Bekking and his men were eventually plucked to safety by a grief-stricken crew of ABN AMRO TWO, who had been heading to within reach of landfall in England for the repatriation of the body of crew member Hans Horrevoets to The Netherlands. 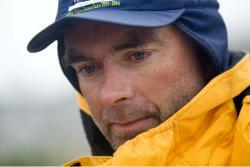 Bekking’s compatriot had been swept overboard 24 hours earlier. He was retrieved in a heroic act of seamanship but, despite the efforts of the crew medics to revive him, had paid the ultimate price. "With a forecast of 35-40 knots and peeking up to 50, I just wasn’t sure the boat would hold out. The boat was rocking hard and the seas became more confused. The keel pin started moving more so in the end, I took the tough decision. There is no mirror onboard here, but if I could face myself, I know we have done everything possible. Ten lives at stake, with a similar number of families, the right call." "Seb (Sebastien Josse – skipper of ABN AMRO TWO) and his crew have been fantastic. We all realised that turning around had been a very hard call for them and, hopefully, they can find a little comfort that they have saved 10 lives." 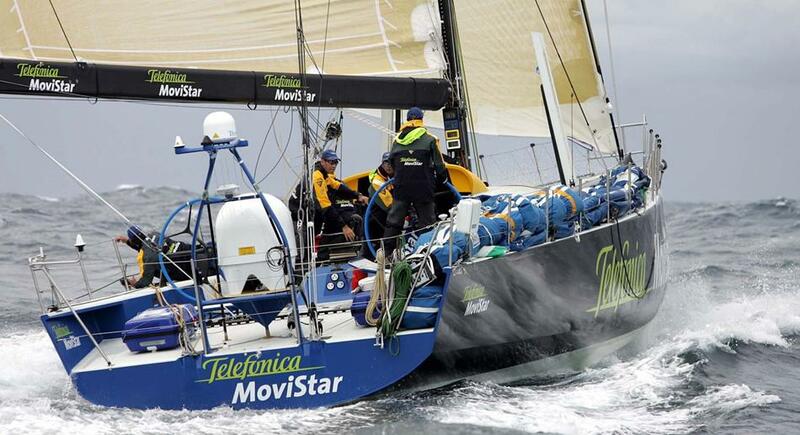 At the time of the transfer to ABN AMRO TWO, movistar was 307 miles from the south western extremity of England. She was left with her Sat C communications systems operational. Planes combed the are,a but the boat was never found. So, the answer to how things might have panned out for the movistar campaign lurks in the depths, along with a first generation Volvo Open 70. It’s not something Bekking cares to dwell on. “We might have done OK on the remaining legs, we probably would have more success in the inshore series and we might have come second or third overall, but we will never know. I don’t have a crystal ball and I’m not a fortune teller. Next time, the 2008-09 race, will see Bekking spearhead a two-boat campaign backed by the region of Alicante and additional funding from Telefonica/movistar, the Spanish telecommunications giant. Armed with an exclusive deal with Farr Yacht Design, the Spanish campaign is well advanced. Construction is underway on the first boat, which is due to be launched in the spring of 2008 and nearly all the pieces of the crew selection jigsaw are in place. Bekking has a 20-year association with the Whitbread/Volvo. His debut was in 1985-86 as the 22-year-old co-skipper of the second-placed Dutch entry Philips Innovator. Winston (1993-94), Merit Cup (1997-98) followed before he served as watch captain to Grant Dalton on Amer Sports One (2001-02). From Dalton, he admits, he learned what’s required to mount a serious Volvo challenge. In 2005-06, he says, he learned a few of life’s “harsh realities”.